Borussia Dortmund’s Raphael Guerreiro will be out for "up to four months" after undergoing an operation on a broken left foot. The 23-year-old was helped off the pitch during the European champions’ 1-0 win over host country Russia at the FIFA Confederations Cup on June 21st after hurting his left ankle. Initial reports from the Portuguese medical team suggested that the player – who can operate at left-back or in midfield – had only suffered serious bruising. But the injury still necessitated surgery and Guerreiro posted a picture from his hospital bed to his Instagram account on Monday. The club have since confirmed (below) that the full-back could be out for up to four months. 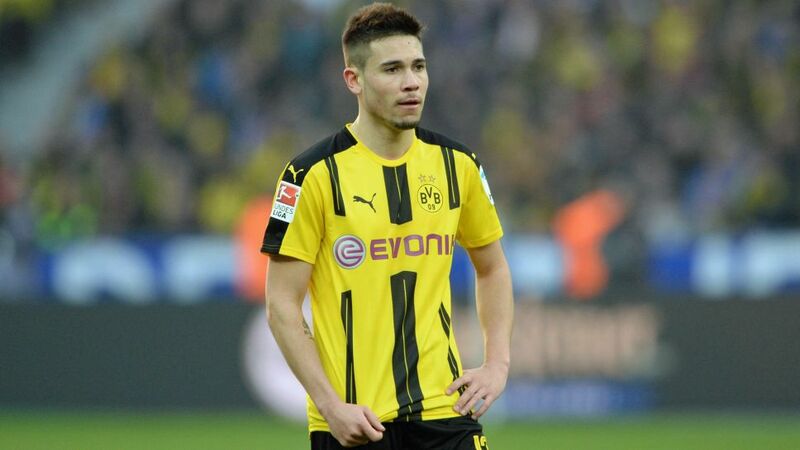 Guerreiro joined Dortmund from French side Lorient last season, scoring seven goals and making 10 more in 35 appearances across all competitions. His last game for the club was in the DFB Cup final against Eintracht Frankfurt on May 27, which Dortmund won 2-1.